11 great bathroom renovation ideas! Some of us tend to move from one place to another during our life, but if you want to stay in the same home, it’s a good idea to renovate your bathroom. Keep accessibility and ease of use in mind because this is that place you will be using the most. You also have to consider safety as well because you can easily slip and fall. So, the main focus here is to reduce hazards and focus on quality with help from these 11 great bathroom renovation ideas! If you want a bathroom design that will resist for ages, add a shower bench. It’s easier for your body since it removes strain but it also eliminates the chances of just slipping and falling. The designs differ, it can be free standing, tiled and built-in. If needed, you do have the option of adding in a cushion if you need a softer surface. Get a comfortable, large bench and the experience will be a lot better. These shower heads can easily be adjusted as you see fit. 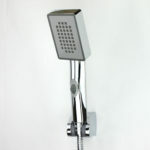 They can also be placed where you want without having to deal with a fixed shower head. It’s a very good idea that both you, friends, loved one and your guests will appreciate! These will offer you the help you need when you enter or exit the shower. Adding one inside the shower and one outside will make it even easier for you. Plus, you can also use them as robe racks and towel racks if you want. Usually, the vanity height is around 31½” if you don’t take the countertop into account. It’s not that high to begin with. This is why you should try to raise it with up to 3 inches, as it can be very helpful. Add in a 1½” countertop here and you will see how much better the entire experience will be in the end. But this is not mandatory. Some people like the original height of their vanity, if that is the case for you just don’t make such a change. If you want, you can also make the vanity accessible via a wheelchair, in which case you need to have a counter height of 34″. 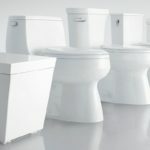 Usually the toilet has 16″ in height so a comfort height one might be better for some since it can be anywhere from 17″ and up to 19″. As you can expect the strain on your knees and back is reduced, not to mention that you can stand and sit a lot faster and better. Glass can come in handy since it helps open up the space and offer better lighting and visuals. But there are situations when adding walls and doors out of glass might not fit at all. Not only are they in need of maintenance more often, you can also break them fast. A good investment would be a heavy duty shower as it can help you boost the beauty of your home. Keep in mind though that this type of expensive can have a higher pricetag than what you expect. Finding the right lighting options will help remove the eye strain. You will also have the ability to remove any wet spots. You can opt for natural lighting, vanity lighting, lamps and even recessed lighting. It all comes down to you to choose the right option. Of course, you can even add in lighting in the shower if you want! The reason behind such an option is that porcelain can last for a long period of time. There’s no need to replace it and cleaning it is very easy. With just a rag and some water you can easily keep it clean in the long run. If there are any concerns about grout, you have to get porcelain tiles with the rectified edge. There’s also the option to get presealed grout if you want. Textured flooring is very interesting but the true challenge here is finding a floor that offers great slip resistance. This allows you to increase safety and it’s also great looking as well. Just try and find the types of flooring which have a dense texture. The more texture it has, the better slip resistance you will get. Tiles are usually measured based on the friction coefficient, while floor materials have other measurement types. Try to find the right one based on your needs. 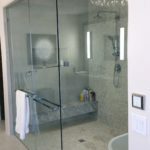 If you opt for this type of shower entry you will have less chances of tripping not to mention that you can also enter with the wheelchair. You will have to slope the shower floor so that the water will be able to drain properly. Steps can be added but the idea is to avoid making them bulky and large as it’s counter intuitive and it will not work as you expect it to. 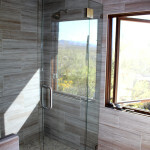 Aftermarket thresholds have to be added from time to time due to the configuration of your shower. This works if you want a tiled tub surround. If you have a larger entrance in this situation, you will have to deal with falling and tripping a lot more often since you will encounter balance problems. The narrower lip will make it easier to maintain the legs close to one another and thus you will not have any balance issues.